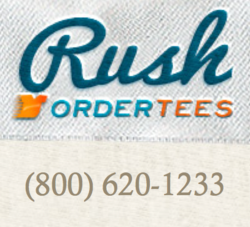 Rush Order Tees has published a guide to small businesses for using custom embroidered polos to market company brands and present a professional appearance. This can be a polo, dress shirt or even a t-shirt to save costs, though the company recommends screen printing or DTG printing on t-shirts for cost and appearance. “Custom logo shirts look best as embroidered polos or oxfords” noted Rush order Tees VP or Marketing and eCommerce, Ron Reed. The most popular method to making custom company shirts is to pick a color that matches a business logo or is neutral to look clean with the logo embroidered into it. Small business owners can upload a company logo directly in the design studio or even create a logo if you don’t have one already. Visitors enter quantities and sizes to submit the design and order. 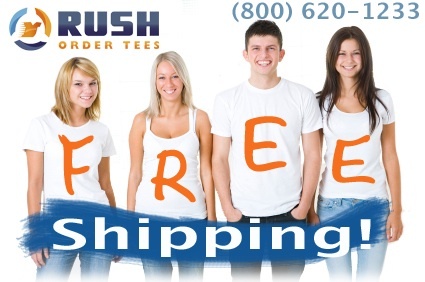 Rush Order Tees has an in house team of graphic designers who optimize all customer designs - both consumer and business - for print using the online creation as a guide. They will then create a professional design proof for the customer's approval. Printfly and Rush Order Tees are US based international eCommerce based businesses. Originally built on repeat business and referrals from satisfied customers, Rush Order Tees has grown to be a major leader in the custom shirt printing industry supplying commercial, government, consumer, academic and private organizations throughout the United States and Canada. Since it's founding in 2002, Rush Order Tees has expanded its product offering beyond custom printed shirts to include a wide variety of sports, academic, community-driven, commercial and business offerings including company polos, custom business shirts, custom team jerseys, custom printed hats, custom printed sweats, custom college shirts, school jerseys, custom totes, custom aprons, and more. As it began to grow out of it’s prior facilities, Rush Order Tees acquired a 15,000 SF facility in North East Philadelphia, PA which they equipped with over twenty of the highest quality screen printers, digital printers (DTG Direct to Garment printers), screen exposure units, screen printing heaters and much more. 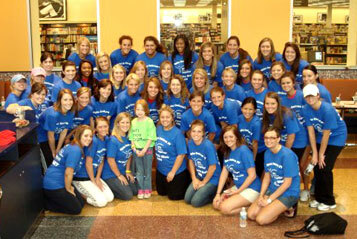 Now, in 2012, the business continues to grow to a point that now requires a new facility and offices. As the company grew, it continued to offer free nationwide shipping along with “no fee” polices and an industry-leading low price guarantee. Through the years, they've developed a reputation for excellent service, value and quality. Their customers have voiced their well earned allegiance and appreciation across many consumer-driven review sites earning Rush Order Tees and Printfly overwhelmingly positive online rating and reviews across the leading sites including Google, Superpages, Yellow Pages, and the Better Business Bureau where they hold a certified A+ Accredited Rating.